The MIDWAY film project is a powerful visual journey into the heart of an astonishingly symbolic environmental tragedy. On one of the remotest islands on our planet, tens of thousands of baby albatrosses lie dead on the ground, their bodies filled with plastic from the Pacific Garbage Patch. Returning to the island over several years, our team is witnessing the cycles of life and death of these birds as a multi-layered metaphor for our times. With photographer Chris Jordan as our guide, we walk through the fire of horror and grief, facing the immensity of this tragedy—and our own complicity—head on. And in this process, we find an unexpected route to a transformational experience of beauty, acceptance, and understanding. We frame our story in the vividly gorgeous language of state-of-the-art high-definition digital cinematography, surrounded by millions of live birds in one of the world’s most beautiful natural sanctuaries. The viewer will experience stunning juxtapositions of beauty and horror, destruction and renewal, grief and joy, birth and death, coming out the other side with their heart broken open and their worldview shifted. Stepping outside the stylistic templates of traditional environmental or documentary films, MIDWAY will take viewers on a guided tour into the depths of their own spirits, delivering a profound message of reverence and love that is already reaching an audience of tens of millions of people around the world. The phrase "sail the Seven Seas" has had different meanings to different people at different times in history. The term "Seven Seas" is mentioned by ancient Hindus, Chinese, Persians, Romans and other cultures. The term historically referred to bodies of water along trade routes and regional waters; although in some cases the seas are mythical and not actual bodies of water. The term "Seven Seas" has evolved to become a figurative term to describe a sailor who has navigated all the seas and oceans of the world, and not literally seven. The number seven has a great deal of historical, cultural and religious significance: lucky number seven, seven hills of Rome, seven days of the week, seven wonders of the world, seven dwarves, seven days of creation, seven Chakras, seven ages of man, seven deadly sins and seven virtues — just to name a few. The term "Seven Seas" can be traced to ancient Sumer in 2300 B.C., where it was used in a hymn by Sumerian high priestess Enheduanna to Inanna, the goddess of sexual love, fertility and warfare. To the Persians, the Seven Seas were the streams forming the Oxus River, the ancient name for the Amu Darya, one of the longest rivers in Central Asia. It rises in the Pamir Mountains and flows northwest through the Hindu Kush and across Turkmenistan and Uzbekistan to the Aral Sea. Early woodcut map of the modern world, published in Laurent Fries' Ptolemy's 'Geographia' 1522 in Strassburg or in Fries's reissue of 1525. To the ancient Romans, the septem maria, Latin for Seven Seas, referred to a group of salt-water lagoons separated from the open sea by sandbanks near Venice. This was documented by Pliny the Elder, a Roman author and fleet commander. The ancient Arabs defined the Seven Seas as the ones they sailed on voyages along their trading routes with the East. They were the Persian Gulf, the Gulf of Khambhat, the Bay of Bengal, the Strait of Malacca, the Singapore Strait, the Gulf of Thailand and the South China Sea. The Phoenicians were expert sea traders and their sailors set out to in search of markets and raw materials. Their Seven Seas — Alboran, Balearic, Ligurian, Tyrrhenian, Ionian, Adriatic and Aegean — were all part of the Mediterranean. The Greeks and Romans gave rise to the medieval definition of the Seven Seas. During this time, references to the Seven Seas meant the Adriatic Sea; the Mediterranean Sea (including the Aegean Sea); the Black Sea; the Caspian Sea; the Persian Gulf; the Arabian Sea (which is part of the Indian Ocean); and the Red Sea, including the Dead Sea and the Sea of Galilee. During the Age of Discovery (1450-1650), after Europeans began exploring North America, the definition of the Seven Seas changed again. Mariners then referred to the Seven Seas as the Arctic Ocean, the Atlantic Ocean, the Indian Ocean, the Pacific Ocean, the Mediterranean Sea, the Caribbean Sea, and the Gulf of Mexico. Other geographers identify the Seven Seas at that time as the Mediterranean and Red seas, Indian Ocean, Persian Gulf, China Sea, and the West and East African seas. The Colonial era, which saw the tea trade sailing from China to England, gave rise to another description of the Seven Seas: the Banda Sea, the Celebes Sea, the Flores Sea, the Java Sea, the South China Sea, the Sulu Sea and the Timor Sea. Their expression "sailed the Seven Seas" meant sailing to the other side of the world and back. North Atlantic Ocean: the portion of the Atlantic Ocean that lies primarily between North America and the northeast coast of South America to the east, and Europe and the northwest coast of Africa to the west. South Atlantic Ocean: the southern section of the Atlantic Ocean, extending southward from the equator to Antarctica. North Pacific Ocean: the northern part of the Pacific Ocean, extending from the equator to the Arctic Ocean. South Pacific Ocean: the lower segment of the Pacific Ocean, reaching southward from the equator to Antarctica. 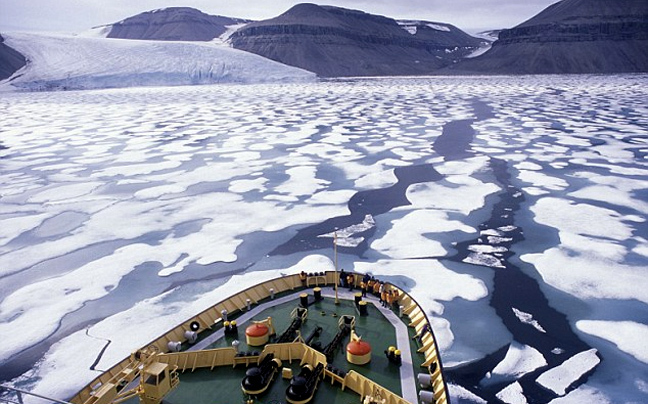 Arctic Ocean: the smallest of the Seven Seas, it surrounds the North Pole. Southern Ocean: also known as the Antarctic Ocean, it consists of the southern portions of the Pacific, Atlantic, and Indian oceans and their tributary seas. 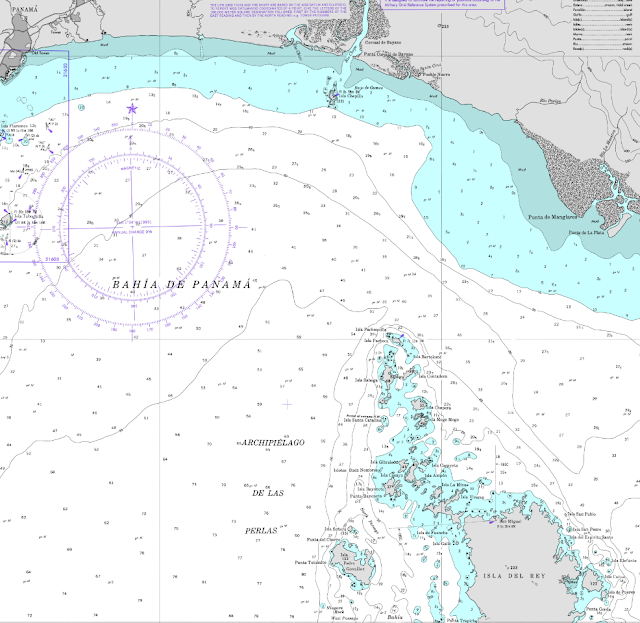 It is the newest ocean, being designated by the International Hydrographic Organizationin 2000. Indian Ocean: stretches for more than 6,200 miles (10,000 km) between the southern tips of Africa and Australia. An adventure cruise ship operated by Lindblad Expeditions hit a submerged rock on Monday, causing damage to the vessel. 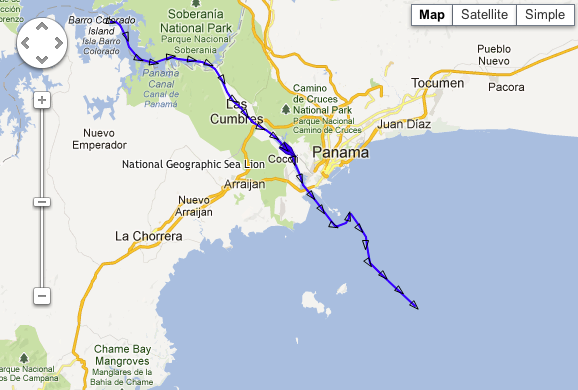 The small expedition ship was departing an anchorage about 70 nautical miles from Panama City, Panama, on March 4 when the collision occurred. The 62-passenger National Geographic Sea Lion was departing an anchorage in the Las Perlas Islands, about 70 nautical miles from Panama City, when on 4 March at around 12:30pm local time it struck the rock, which was uncharted, Lindblad spokesperson Patty Disken-Cahill tells USA Today. None of the 55 passengers and 35 crew on board the vessel was injured, Disken-Cahill says. The National Geographic Sea Lion sustained damage to its hull and one propeller during the incident, but after clearance from the U.S. Coast Guard, returned to Panama City on its own power, arriving today at 5 a.m. The accident occurred on the third day of an eight-day voyage transiting the Panama Canal and exploring the islands of Panama and Costa Rica. Disken-Cahill says passengers on the vessel were given the option of continuing their journey to Costa Rica by air and land, or returning home. All but 16 of the passengers decided to continue their journey and flew this morning to San Jose, Costa Rica, she says. Disken-Cahill says the National Geographic Sea Lion will enter a dry dock at Panama City on Wednesday to undergo repairs. The next departure of the vessel, scheduled to begin March 9, has been canceled. The ship will return to service March 16. 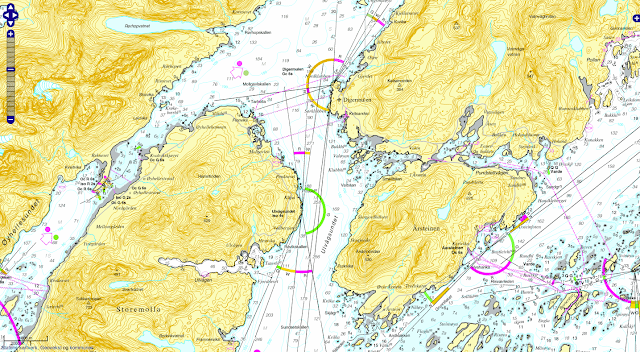 The incident occurred at roughly the same time that another small passenger ship, Hurtigruten's Kong Harald, was damaged after hitting late Monday an underwater rock along the Norwegian coast and began taking on water, industry watcher Seatrade Insider reports. 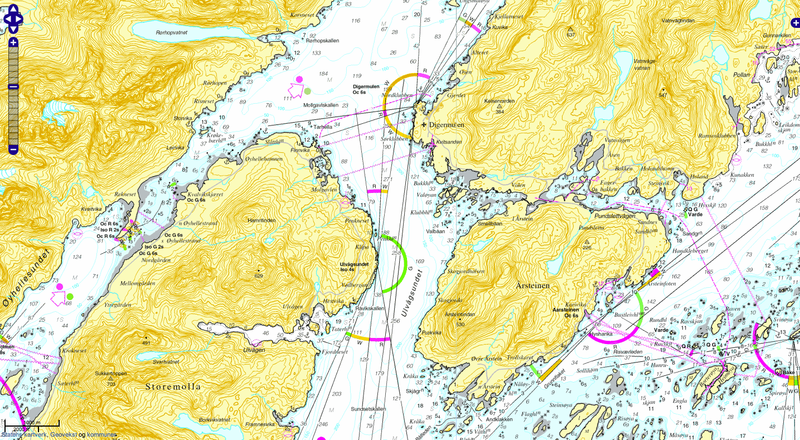 The trade publication says the 258-pasenger Kong Harald grounded on the rock outside Norway's Trollfjord and had to wait for the tide to rise before sailing to nearby Svolvaer. 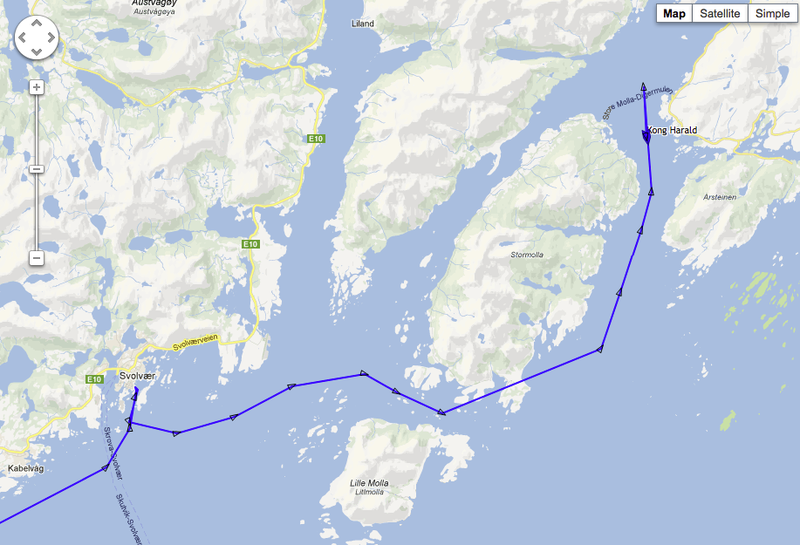 The ship's itinerary scheduled March 4-12 sailing, Stokmarknes – Kirkenes – Bergen has been canceled so it can undergo repairs, the publication says. Hurtigruten ship Kong_Harald hit an underground rock in a remote Norwegian fjord north of the Arctic Circle and was grounded outside Trollfjord in Norway at 11:30 p.m. Monday. 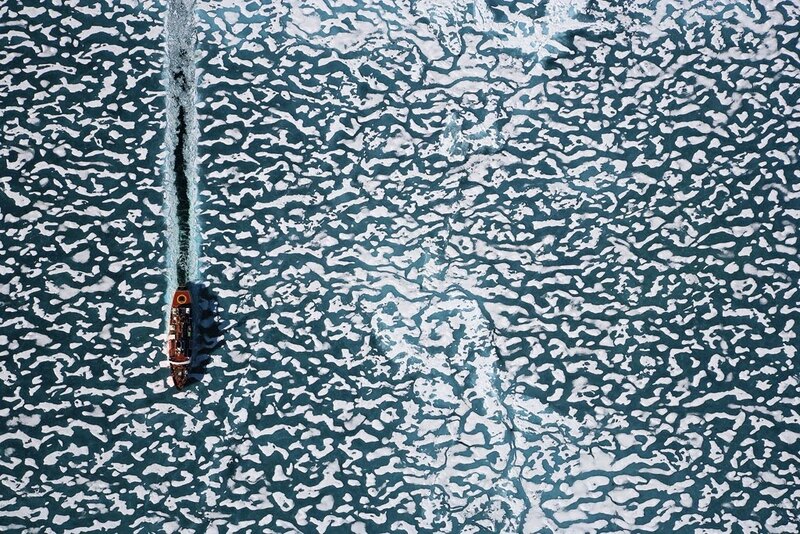 The dramatic reduction in the thickness and extent of late summer sea ice that has taken place in each of the last seven years has already made it possible for some ice-strengthened ships to travel across the north of Russia via the "northern sea route". Last year a total of 46 ships made the trans-Arctic passage, mostly escorted at considerable cost by Russian icebreakers. But by 2050, say Laurence C. Smith and Scott R. Stephenson at the University of California in the journal PNAS on Monday (see paper), ordinary vessels should be able to travel easily along the northern sea route, and moderately ice-strengthened ships should be able to take the shortest possible route between the Pacific and Atlantic Oceans, passing over the pole itself. The easiest time would be in September, when annual sea ice cover in the Arctic Ocean is at its lowest extent. The dramatic reduction in late summer sea ice has already made it possible for some ships to travel across the north of Russia. The scientists took two classes of vessels and then simulated whether they would be able to steam through the sea ice expected in seven different climate models. In each case they found that the sea routes opened up considerably after 2049. 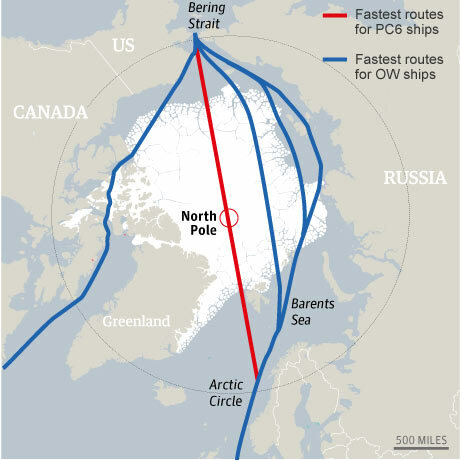 "The emergence of a … corridor directly over the north pole indicates that sea ice will become sufficiently thin such that a critical technical threshold is surpassed, and the shortest great circle route thus becomes feasible, for ships with moderate ice-breaking capability," says the paper. "The prospect of common open water ships, which comprise the vast majority of the global fleet, entering the Arctic Ocean in late summer, and even its remote central basin by moderately ice-strengthened vessels heightens the urgency for a mandatory International Maritime Organisation regulatory framework to ensure adequate environmental protections, vessel safety standards, and search-and-rescue capability," it adds. The northern sea route has been shown to save a medium-sized bulk carrier 18 days and 580 tonnes of bunker fuel on a journey between northern Norway and China. Shipowners have said it can save them €180,000-€300,000 on each voyage. A direct route over the pole could save up to 40% more fuel and time. The Japanese whaling fleet, poaching whales from Antarctica's Southern Ocean Whale Sanctuary, creates a collision as they attempt an illegal refuelling operation. 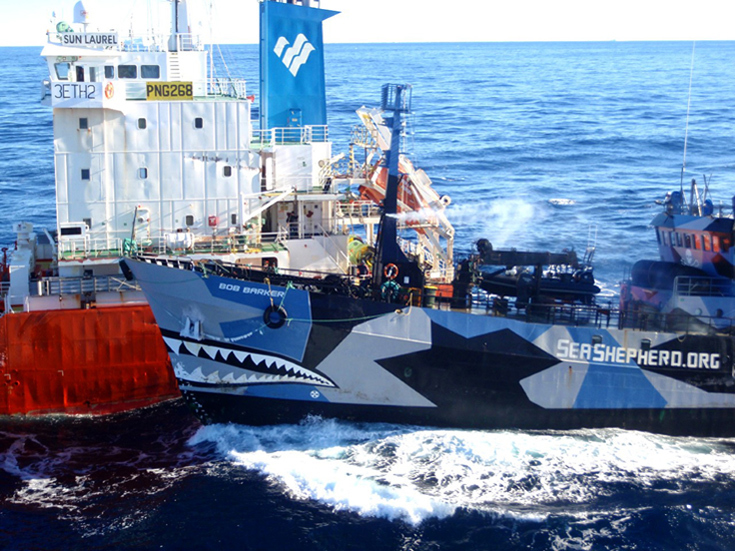 Sea Shepherd Ship Bob Barker peacefully blocks the whalers' factory ship, Nisshin Maru, from refuelling. The Bob Barker holds their ground, but the Nisshin Maru moves in, pinching the Bob Barker between itself and the fuel tanker Sun Laurel while blasting the bridge windows with high-powered water cannons. The bow wake from the two larger ships causes the smaller one to lose steerage, and the ensuing turbulence throws the Bob Barker off course. The Bob Barker gets helplessly tossed side to side between the two larger ships. This video clearly shows the fault of the collision on the Nisshin Maru. According to COLREGS, the Bob Barker had the right of way, and the Nisshin Maru had no right to move closer to the Bob Barker. To the Japanese government, they are terrorists. To a US federal appeals court, they are pirates. To at least one retired Australian rear admiral, their actions are life-threatening, counter-productive, and even have the potential to destabilise the Asia Pacific region. To many in the global environmental movement, though, the sea-borne activists from the Sea Shepherd conservation group are brave and buccaneering heroes. Normally each year they engage in what begins as a high seas game of cat and mouse with the Japanese whaling fleet in the vast Southern Ocean, and ends with perilous collisions and clashes. This year, because the Japanese fleet was late in leaving port, Sea Shepherd was lying in wait. It meant that for the first time in years no whales were killed in January, and that the conservationists were able to scatter the Japanese fleet, making it much harder to conduct its annual hunt. The Japanese aim was to kill 950 whales for what they have long claimed are "scientific purposes," a definition that allows them to skirt - or flout, according to anti-whaling governments and campaigners - the international moratorium on commercial whaling that came into effect in 1986. This year, Sea Shepherd believes fewer than 100 whales have been harpooned - a figure which the Japanese do not dispute but did not confirm. Sea Shepherd activists accused the whalers of “causing considerable” damage to the protesters’ much smaller boat. With the whaling season soon to end - low temperatures, long hours of darkness and hazardous ice floes makes it too risky - Sea Shepherd are claiming a victory. "It's been the lowest whale kill in a decade," says Bob Brown, the former leader of the Australian Greens who is now the head of Sea Shepherd Australia. Other than pre-empting the arrival of the Japanese fleet, Sea Shepherd believes three strategies have proved particularly effective. First, it has used smaller, faster boats to get between the harpoon ships and their prey. Second, it has tried to prevent the harpoon ships from connecting with the factory ship, the Nisshin Maru. Third, it has targeted a South Korean refuelling ship, the Sun Laurel, so as to starve the fleet of fuel. The Japanese vessels were "again subject to sabotage by the Sea Shepherds,” Japan’s whale research institute insisted. In pursuing these disruptive tactics, it has helped that Sea Shepherd has put to sea four ships, its biggest ever flotilla. Last week, after a series of particularly dangerous confrontations, the group claimed to have brought about a suspension of whaling - an assertion rejected by the Japanese fisheries ministry and also its Institute of Cetacean Research, which organises the hunt. It also claimed that its ship the Bob Barker came within 15 or 20 seconds of being rolled over after being rammed by the Japanese factory ship Nisshin Maru, and that the Japanese have used water cannons and concussion grenades to deter them. The Japanese argue they are acting in self defence. The whaling fight is being waged in the courts as well as at sea. This week a three-judge panel of the US Circuit Court of Appeals sided with the Japanese, and ordered Sea Shepherd to stop harassing its ships. In a strongly worded ruling, Judge Alex Kozinski assailed the group's "aggressive and high-profile attacks," calling them "the very embodiment of piracy". "When you ram ships, hurl glass containers of acid, drag metal-reinforced ropes in the water to damage propellers and rudders, launch smoke bombs and flares with hooks; and point high-powered lasers at other ships," the judge ruled, "you are, without a doubt, a pirate". The Japanese believe that the ruling vindicates their annual hunt. "The US Court of Appeals states that the research is legal, and that the fleet has a right to be there," says Glenn Inwood, who runs a New Zealand public relations company, Omeka Communications, employed to speak on behalf of the Japanese. "What I think it will do is have an effect of Sea Shepherd's American fund-raising. Americans could be reluctant to donate to an organisation that the US justice system regards as pirates." The campaigners argue, however, that the ruling will have no effect, since the court has no jurisdiction in the part of the Southern Ocean where whaling takes place and because Sea Shepherd uses Australian- and Dutch-flagged ships. "It affects Sea Shepherd America," says Bob Brown. "It does not affect us. It also ignores Australian law which prohibits whaling in Australian waters." More important, he says, is a pending case before the International Court of Justice in The Hague, brought by the Australian government, which considers Japanese whaling to be illegal. In its written submission to the court, the government argued that "the whaling carried out by Japan is commercial, not scientific, and does not fall within that narrow exception". Just as the clashes at sea have been the angriest since 2010, which saw the sinking of Sea Shepherd's futurist speedboat the MY Ady Gil, there has been an escalation in the exchange of words between Tokyo and Canberra. Tony Burke, Australia's environment minister, has called the Japanese whale hunt a "disgusting operation." Japan's fisheries minister, Yoshimasa Hayashi, complains that Australian criticism represents "a cultural attack, a kind of prejudice against Japanese culture". Mr Hayashi compared the Japanese consumption of whale meat with the Australians eating kangaroos. Tellingly, though, he did not cite the usual scientific justification for whaling. Mr Burke was quick to seize upon the omission. "It's significant for them to have abandoned any pretence of a so-called scientific reason," he tweeted. For both governments there are domestic political considerations to weigh. In an election year, it makes sense for Australia's Labor government to burnish its environmental credentials with a strong anti-whaling message, because it faces a challenge on the left from the Greens. In Japan, the new Prime Minister Shinzo Abe comes from Yamaguchi Prefecture, which has a strong whaling heritage. His fisheries minister, Yoshimasa Hayashi, was once the secretary general of the Parliamentary League for the Promotion of Whaling. Geopolitical factors are also at work, according to retired Australian Rear Adm James Goldrick, namely Japan's dispute with China over the Senkaku/Daioyu Islands. "If Japan is seen as being weak with Sea Shepherd," he notes, "how will China interpret this but as a signal to continue its own hard line approach?" 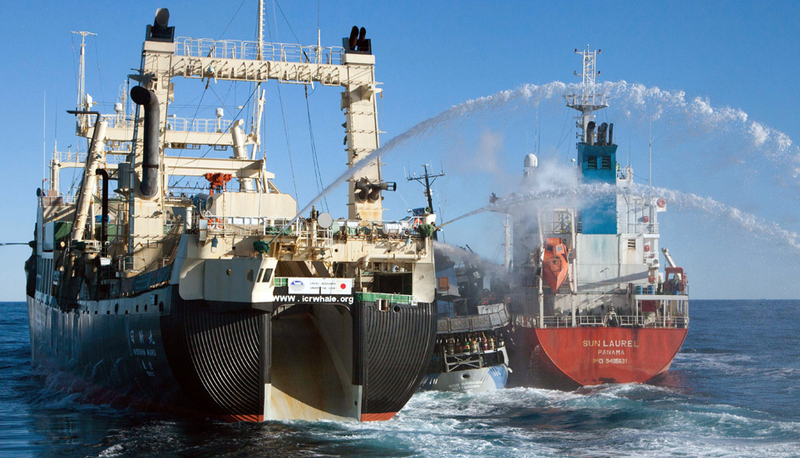 Rear Adm Goldrick, who was the commander of Australia's border protection in 2008 when the new Labor government dispatched a customs ship, the Oceanic Viking, to monitor Japanese whaling, also believes that Sea Shepherd's aggressive tactics are dangerous, counter-productive and environmentally hazardous. "There's potential for loss of life on both sides and also the risk of puncturing fuel tanks, which in that part of the world would create a huge environmental problem: the release of hundreds of cubic metres of oil in to the sea." "The only way the whaling will stop is by creating a sufficient body of opinion against it within Japan itself," he notes, and that battle is already being won. With polls suggesting that only 5% of the Japanese population consumes whales, there is thought to be a stockpile of 6000 tonnes of unused meat. "Sea Shepherd plays to the nationalist tendency in Japan," says Rear Adm Goldrick. "It's the tendency to circle the wagons and start shooting." The whaling wars, it is clear, are a long way from a ceasefire. 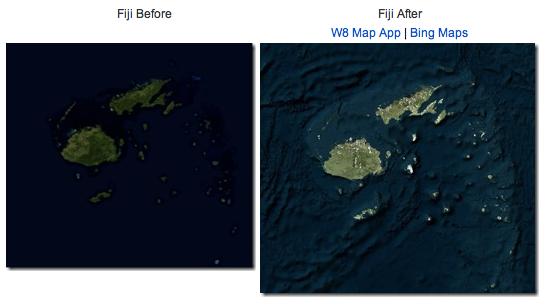 Bing Maps just got a large update that brings a more detailed map of the ocean floor to Microsoft’s mapping service. This new bathymetry data is based on the data compiled by the Scripps Institute of Oceanography. The update also introduces a new base satellite image from TerraColor with a resolution of 15 meters per pixel, as well as new high-res satellite imagery that covers a total of 13,799,276 sq km (Microsoft likes to be precise about these numbers). After completing its mission to gather straight down imagery from aircraft in the U.S. through the Global Ortho Project, Microsoft also today added a total of 203,271 sq km of new imagery from Europe to its collection, which now covers 90% of Western Europe. The most important new feature of the new base satellite image from TerraColor is that the team managed to reduce the cloud cover in a number of areas that are often obscured by clouds, including, for example, the Hawaiian islands. 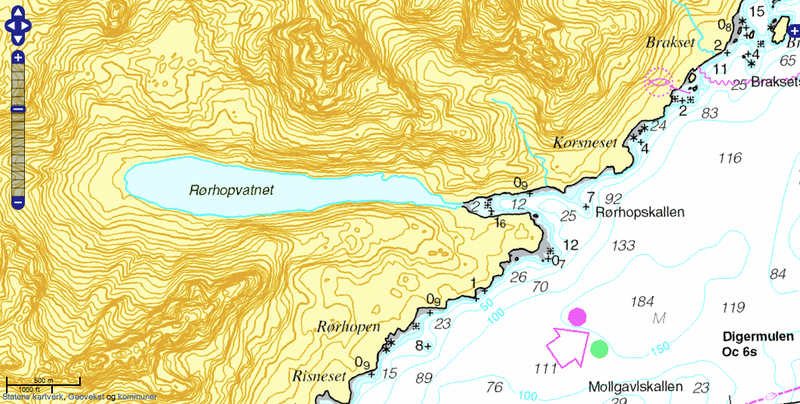 The highlight of the release, however, is obviously the addition of the bathymetric imagery that gives users a clearer view of what the relief of the ocean floor looks like. The topography of the ocean floor, Microsoft writes, “is represented by color shading (dark blues to light blues) indicating changes in ocean depth.